>> Drunk Driving Uber Accident? Drunk Driving Uber Accident. Was Your Driver Intoxicated? Welcome to the Sally Morin Personal Injury Lawyers' California personal injury attorney blog. Here we talk about the scary topic of drunk driving Uber accidents and how common it is that you may end up in an Uber with an intoxicated driver. The age of ridesharing has revamped the way we all get around. It's so easy to simply punch a few buttons on your smartphone and have a car at your destination within minutes. And with the financial incentives offered by rideshare services like Uber and Lyft, it's easy to see why many people are turning to these alternatives rather than relying on tried and true transportation options like taxis. Are these ridesharing programs really as safe as everyone says they are? Sure, there are the bazaar horror stories that make splashy headlines (like Uber drivers who "kidnap" their passengers) but these overshadow the stories about drunk driving Uber accidents in Oakland, San Francisco, or LA that's buried on the back page or relegated to a little blip in the news feed. One of the scariest causes or contributing factors to an Uber accident is intoxication. How can you tell if your Uber driver is drunk and what can you do if they are? Once you get in that vehicle, you are essentially at their mercy until they let you out. And, unfortunately, as a recent investigation showed, more Uber drivers than you'd like to believe show up to work intoxicated. Several recent news stories have touted how the use of Uber has reduced the number of drunk drivers on the roads across America. Indeed, these rideshare services have become an essential part of nightlife culture across the country (especially in urban areas like New York, Oakland, and Miami). Having a reliable ride available at the push of a button has freed people from the social anxiety associated with surrendering their keys to a friend after a night at the club or a few too many drinks during dinner. There are even some law enforcement agencies recommending Uber and Lyft as safer alternatives to drinking and driving. But Can You Trust Your Driver? More in-depth studies have shown that the relationship between ridesharing services and drunk driving is a little more complicated than the glossy headlines would have you believe. Indeed, a recent study authored by Christopher Morrison found that while Uber, Lyft, and other ridesharing services can conclusively be linked to a decrease in DUI cases in certain areas, the availability of designated drivers hasn't had the same effect everywhere. For example, while the number of alcohol related accidents did decrease in places like Portland and San Antonia after Uber was allowed in (for the second time), it did not change the number of DUI crashes in cities like Reno. The study's author believes that there may be city-specific factors that have an effect on the total number of DUI offenses. For example, cities with well-developed public transportations systems (like Portland) show a significantly lower percentage of alcohol involved accidents than cities which do not have solid alternatives. 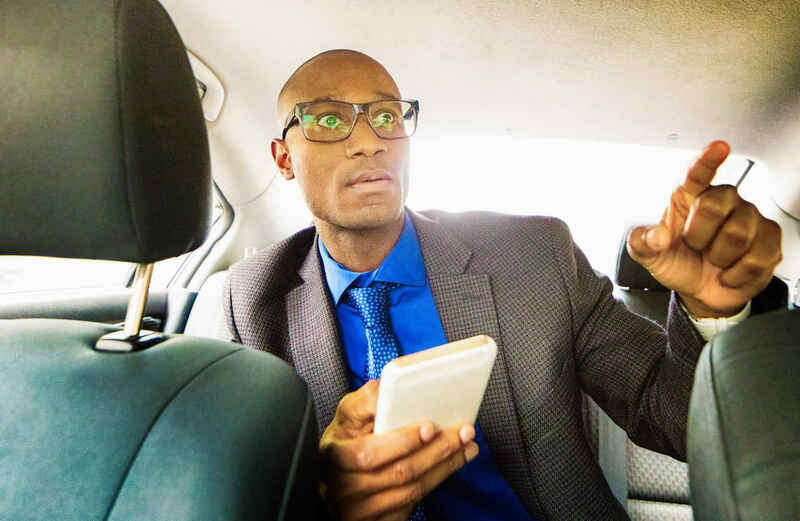 Another thing you must consider before concluding that ridesharing options are always safer is that services like Uber and Lyft cannot vouch for individual drivers at any given moment. That means that while the driver may have passed an initial background check, the company cannot state with confidence whether or not your driver hasn't had a few drinks before coming to pick you up. When you slide into the passenger's seat of your next Uber, ask yourself is your driver capable of getting you to your destination safely. If you feel the answer is no, get out of the car immediately. An audit of complaints filed against Uber shows that Uber drivers driver for Uber while they themselves are intoxicated. In 2017 the California Public Utilities Commission filed an action against Uber stating that the company received 154 complaints of drunk drivers from passengers. However, digging further into the data, the PUC found that Uber had only thoroughly investigated 21 of those claims. Luckily each of these complaints has not resulted in a drunk driving Uber accident, but this number shows you the risk is out there. This investigation into drunk driving Uber accidents in California led to a $1.1 million fine against the company for failure to ensure consumers were receiving a safe service. As an example, in 2016 an Uber driver arrested for driving erratically. When tested, the driver's blood alcohol content was 4 times higher than that allowed for commercial drivers. Had an alert passenger not suspected impairment and notified the authorities, the driver would likely have continued to drive while legally drunk. Sadly, when the incident was reported to Uber, the company simply issued the passenger a refund yet failed to even contact the driver until 12 hours later. A year prior to that, a blogger reported that when a friend ordered an Uber for her after an hours-long party, the driver who showed to pick her up had been at the party themselves and had been smoking marijuana and drinking wine. We Are Uber Accident Experts! "Sally was always very kind, responsive and helpful. Aside from the wonderful and unexpected settlement, the best part was that instead of dealing with the slimy insurance settlement case worker (who wanted to show up at my work to verify my injury), I dealt with Sally and her knowledgeable and kind staff." Experience a serious Drunk Driving Uber accident? Not sure if you need an Uber accident lawyer? Check out our ​Uber accident page to learn more about how the process works. Can You Avoid Drunk Driving Uber Accidents? Unfortunately, there is no foolproof way to avoid getting in the car with an Uber driver who is intoxicated. While impairment may be obvious much of the time, some people can mask their symptoms well and you may not know anything is wrong until you've been involved in a terrifying drunk driving Uber accident. And, unfortunately, if you're relying on Uber as an alternative to a traditional designated driver your ability to determine whether your driver is impaired may be hindered. Remember, you are in charge, not the driver. If you suspect they are under the influence of drugs or alcohol, tell them to stop immediately, report the driver to police, and file a claim with Uber. While the company's response may be delayed, removing yourself from harm's way is always the first priority. If you've been involved in a drunk driving Uber accident that you suspect was caused by a driver that was intoxicated, you may be able to seek compensation from the driver, from the rideshare service, or from the Uber insurance policy covering passengers at the time of the crash. If you or someone you care about has suffered serious injury due to a drunk driving Uber accident in California, contact us by getting a FREE online case evaluation now. Were You Injured in an Uber Accident?